Today is Memorial Day in the United States, and I thought what better day than today to talk about financial freedom. I hope everyone enjoys their day, remembers the true meaning of Memorial Day, and I hope you learn a little (hopefully a lot) about reaching financial freedom from the articles I pulled together. In case you don't know what financial freedom is… Financial freedom is when you are able to live life without constantly worrying about money. It's when you feel comfortable enough to follow your passion instead of thinking about the income you are bringing in. It allows you to not stress about an unexpected expense because you have an emergency fund. 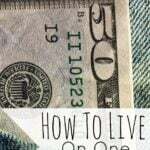 Here are my 10 favorite posts that will help you reach financial freedom. According to a survey done by Gallup, 68% of households in the U.S. do not prepare a budget. 2. Pay off debt to reach financial freedom. 4. Make more money to reach financial freedom. 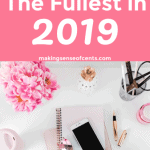 Here on Making Sense of Cents, I discuss extra income, side hustles, side income, and how to make money online a lot. I believe that earning extra income can completely change your life in a positive way. You can stop living paycheck to paycheck, pay off your debt, and more all by earning extra money. 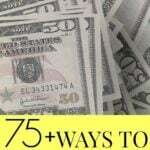 Read more at Hundreds of Ways To Make Extra Money. 5. Find ways to save more money. 6. Don't keep up with the Joneses. Whether you are five years old and want that new toy everyone is playing with, or if you are 50 years old and are feeling the need to upgrade your house, car, etc., everyone has experienced wanting to keep up with someone else. The problem with this is that keeping up with the Joneses can actually make you broke. When trying to keep up with the Joneses, you might spend money you do not have. You might put expenses on credit cards to (in a pretend world) “afford” things. You might buy things that you do not care about. The problems can go on and on. This can then lead to an excessive amount of debt and potentially set someone back years with their financial goals, if not decades. 7. Have regular family money meetings. 8. Have an emergency fund. An emergency fund is something I believe everyone should have. However, according to a report by Bankrate.com, 26% of Americans have no emergency fund whatsoever. This is frightening to me, as having an emergency fund can greatly help you get through tough parts in life. An emergency fund can help you if you lose your job, if your hours are cut back, if you have an unexpected expense, and so on. 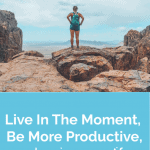 Whether we are talking about changing your financial situation or changing your lifestyle, there are many ways to start making changes in your life so you can start living the life you want. After all, in order to reach financial freedom, you will most likely have to make some changes. Read more at How To Change Your Life And Live Your Dream Today. 10. Stay motivated to reach financial freedom. Even with how much I love saving money, every now and then it becomes easy to get unmotivated and want to SPEND ALL THE MONEY! I’m sure I’m not alone either. While many choose to live a frugal life, it’s not always easy. Some have large amounts of debt to pay off, others find it hard to stick to a budget, and more. Finding financial motivators will help you continue to work hard towards your goal, even when it seems impossible. Without motivation, one might give up on a financial goal quite easily. This is why it’s so important to learn how to stay motivated. Read more at Paying Off Debt And Budgeting: Tricks For Staying Motivated. What does financial freedom mean to you? 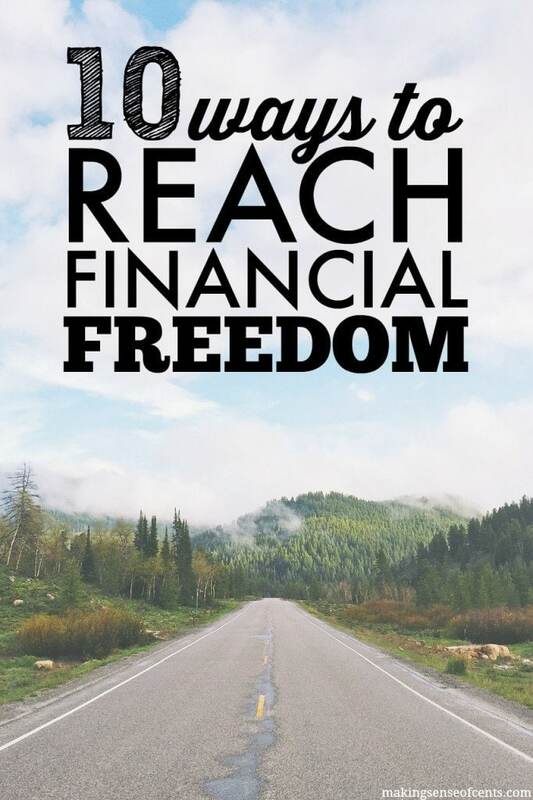 Have you reached financial freedom? How much you make is sometimes very hard to influence, at least in the short term, so focusing on how much you’re saving is often the most prudent step. You can change that pretty quickly whereas earning more takes some time. Today is a great time to ponder the future as we remember the past. This is very true, Jim. It’s all about the end financial result when striving for excellence to save money and making every penny work for you. Good point Jim, but saving money doesn’t grant you financial freedom. Earning enough to never worry about it is true financial freedom. How free are you if you’re constantly worried about squirreling away more money? Great post for Memorial Day. Having an emergency fund has been the most freeing thing for me, because I am protecting myself from a lot of debt. I also agree that being financially free requires you to have different monetary priorities versus trying to keep up with the Joneses. Great tips to always keep in mind. My wife and I make sure to have regular conversations about our finances so we’re both on the same page. If there are big decisions to make we always discuss together before making any changes. Such great advice! The emergency fund thing is such an important step! However my goal is to have 3 months worth of expenses saved up, this would require us to have around $9,000 in savings just for this purpose. Obviously this isn’t super easy right now. Making more money, cutting back when able, and not keeping up with the Joneses are how we plan to gain our financial freedom. 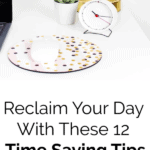 These are all really great tips and I do these every day. However, one thing I’m struggling with is the time it will take to reach FI. It needs to come sooner! I think we have 10-15 more years before we can FIRE, and I’m getting impatient. I probably just need to work on making more money so we can reach FIRE earlier! Yes! Remember to enjoy life as well 🙂 FI will come! Hi, Great post you have there.I’m a divorced dad that seek to get to financial freedom soon even with paying alimony, it is hard but I will get there!! , I have debt that he is still very high, but I will try to lower it. I’ve been reading more and more on building finances online through connecting with people meaningfully and creating quality content. Most importantly, it is essential for every to not care about keeping up with the joneses means nothing later on. It’s been very admirable to watch you achieve financial freedom over the years! Now that I am finally out of school, I will be channeling your tips to start paying back my student loan debt ASAP. I also need to start saving again for retirement so I am not eating cat food with my cat! These are all great tips. Honestly the best thing we ever did was begin tracking our expenses. It helped us realize where our money was going. Completely agree with all of these, budgeting being the number one priority for anyone in my opinion. I can’t wait to get to the point where I’m financially free. Another great article Michelle! The most important part of it all is to invest in income producing assets. That income helps you reduce debts, save more, earn more, etc. I personally love real estate, though there are more ways than one to achieve that goal. Financial freedom would bring a collective sigh of relief for most people. I can’t wait to get there! Today, I’m struggling with #10. I want ALL.THE.THINGS. I’m going back to read your article on staying motivated. Thanks again for sharing your wisdom here! This is all great advice! Equally important, resources for how to do all the things you mentioned are readily available online. We live in a time when almost everyone can work towards financial freedom. Thanks! What goals are you trying to achieve right now? I love everything about this post! It’s all true!! I am trying to get out of student loan debt, and the best way I know how to do that is to make more money, which is why I’m blogging and freelance writing. It’s also helpful to set manageable money goals and to focus on just one or two things at a time. I find that to be especially important when trying to pay off debt–make that your sole mission and then once it’s gone, you can focus on wealth building by investing. I’ve followed your blog for a while and I really appreciate your advice. We’re looking at paying off our debt and getting our financial house in order so we can retire. I wish I could have had someone like you to show me the way back when I was just out of school. I’m going to share this with my teenage children. Thanks! I enjoyed reading this, Michelle. I couldn’t agree more to these tips. I’d like to you to know that side hustling has helped in this pursuit of financial freedom. I agree that having an emergency fund is such a weight lifted. Now I just need to work on the investing part…. One thing I haven’t been focusing on that I should have been is the “long game.” Too many people are focused on this week, this month, or even this year. But what are you building towards? What can you work towards this year that will pay off in 5 years? There’s a huge opportunity to focus on the long game because so many are focused on the short game. Where do you announce the winners of your giveaways? I email the winners directly, but I don’t share their information because Rafflecopter usually lists the first name, last name, and photo, and I think that breaches privacy. Could I have a list of winners? If you send me an email, I can share their first names with you. Does that work? Seriously, we aren’t qualified for many of the opportunities. I’m currently just saving up through purchasing online “assets”, as well as GICs via my bank. But like you said, the best thing to do is to save more. I found that tip on having family financial meetings useful. I never thought of that before now. I’m so glad I read this article. Now, I can implement that tip with family and see how it goes. Wow, this is awesome! Building a good financial foundation for yourself and getting rid of debt is really difficult but it can be done! Thanks so much for sharing your tips! Enjoyed reading this! Thank you for the great tips. I have to have a budget because I am on a limited disability income! I’m also constantly finding ways to save or cut back and I feel SO great when I do. I also have a few little ways to make extra money that go in to an emergency fund that is a must for me! The greatest financial freedom is working for yourself. And keeping the motivation going after your employer wrongfully got you fired.